Microsoft PowerPoint 2016 for Windows has all the functionality and features you’re used to, with some added enhancements and the best new features from Microsoft Office 2016. PowerPoint now has a Text Highlighter similar to the one in Word, by popular demand! You can use it to pick different highlight colors to emphasize certain portions of the text in your presentations. Collaboration in PowerPoint 2016 is better than before. 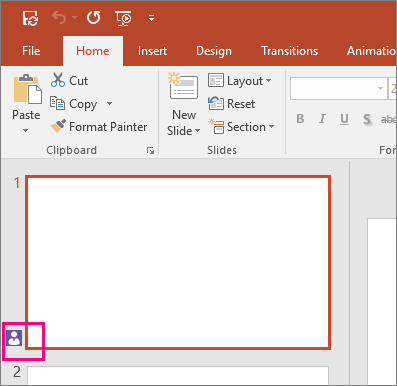 You can still share your PowerPoint 2016 presentation with others and work together in real time by using OneDrive or SharePoint.Now when you open your shared presentation, in a glance you can see who is working within the document and where. You can chat with them instantly by using Skype for Business and can view document activity, all from the top-right corner on the ribbon. Choose a thumbnail picture of a person to begin an IM conversation by using Skype for Business or open their contact card information. Choose the Skype for Business button to start a group chat with everybody working in the document. The new Activity pane lets you see the complete list of changes made so far, and gives you access to the earlier versions. Choose Activity on the ribbon to see the Activity pane. Now with one click of on the ribbon you can make or view comments in your presentation. With enhanced collaboration, it’s easier to reply to or resolve comments and mark them as complete. Both Office 365 subscribers and Office 2016 one-time purchasers get the following new features. 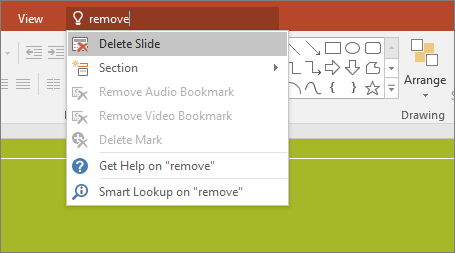 You’ll notice a text box on the ribbon in PowerPoint 2016 that says Tell me what you want to do. This is a text field where you can enter words and phrases related to what you want to do next and quickly get to features you want to use or actions you want to perform. You also can choose to get help related to what you’re looking for, or perform a Smart Lookup on the term you entered. Visualizations are critical to effective data analysis as well as compelling storytelling. In PowerPoint 2016, we’ve added six new charts—with the same rich formatting options that you are familiar with—to help you create some of the most commonly used data visualizations of financial or hierarchal information or for revealing statistical properties in your data. 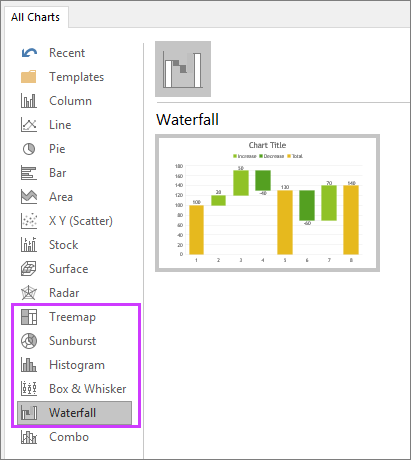 When you go to Insert > Chart on the ribbon, you’ll now notice five new options that are especially well-suited for data visualization: Box and Whisker, Treemap, Sunburst, Histogram, (and within Histogram options, Pareto), and Waterfall. The Insights pane, powered by Bing, offers more than just definitions. 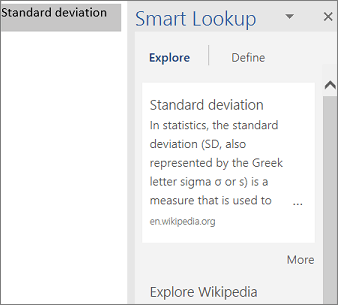 When you select a word or phrase, right-click it, and choose Smart Lookup, the insights pane will open with definitions, Wiki articles, and top related searches from the web. You can also get to Smart Lookup any time by going to Review > Smart Lookup and entering a query there. Including math equations has gotten much easier. Now, you can go to Insert > Equation > Ink Equation, any time you want to include a complex math equation in your presentation. 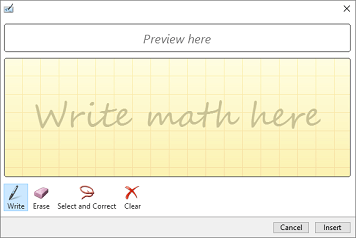 If you have a touch device, you can use your finger or a touch stylus to write math equations by hand, and PowerPoint will convert it to text. (If you don’t have a touch device, you can use a mouse to write, too). You can also erase and select and correct what you’ve written as you go. Perfect for demonstrations, you can now include screen recordings in your PowerPoint presentations with just a few clicks. Just set up whatever you’d like to record on your screen, then go to Insert > Screen recording, and you’ll be able to select a portion of your screen to record, capture what you need, and insert it directly into your presentation in one seamless process. Note: This feature is also available in PowerPoint 2013 if you have the most recent updates. 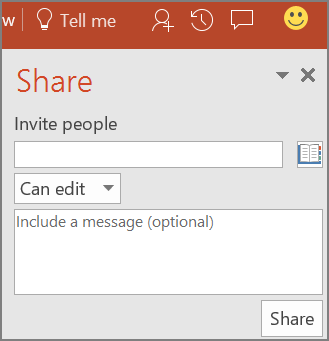 Choose the Share tab on the ribbon to share your presentation with others on SharePoint, OneDrive, or OneDrive for Business. Now, when you’re collaborating with others on a presentation and there are conflicts between changes you’ve made and changes others have made, you’ll see a side-by-side comparison of the slides with conflicting changes, so you can easily choose visually between which changes you’d like to keep. Now you can go to File > History to see a complete list of changes that have been made to your presentation and access earlier versions. Note: This feature is only supported for files stored on OneDrive for Business or SharePoint. 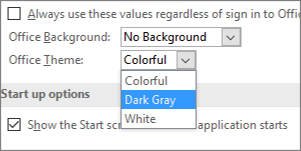 There are now four Office themes that you can apply to PowerPoint: Colorful, Dark Gray, Black, and White. To access these themes, go to File > Account, and then click the drop down menu next to Office Theme. Now, when you export your presentation as a video, you can choose to create a file with resolution as high as 1920 x 1080, which is great for presentations on larger screens. Smart Guides no longer turn off when you insert a table. Now you can use them to make sure everything, tables included, is aligned properly on your slides. This feature increases the number of default shape styles by introducing new “preset” styles with theme colors to quickly get the look you want. Note: The following features are only available to Office 365 subscribers. If you have an Office 365 subscription, make sure you have the latest version of Office. 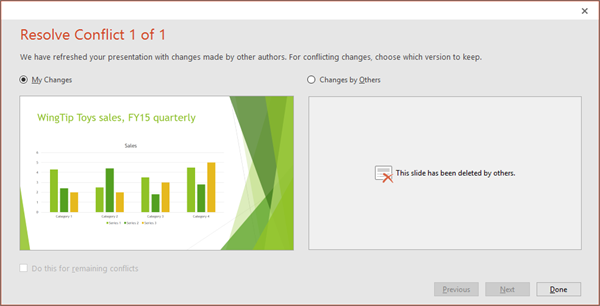 Collaboration is getting better and better in PowerPoint 2016 for Windows. When you share your presentation with others using OneDrive or Office 365 SharePoint, you can work together in real time. You can now not only see when others are working on the same shared presentation as you, but also see an indicator that shows you exactly what slides they’re working on, and where in the slides they’re working. On touch-enabled devices, you’ll now see a Draw tab on the ribbon in Word, Excel, and PowerPoint where you can select inking styles and start making ink annotations directly in your files. 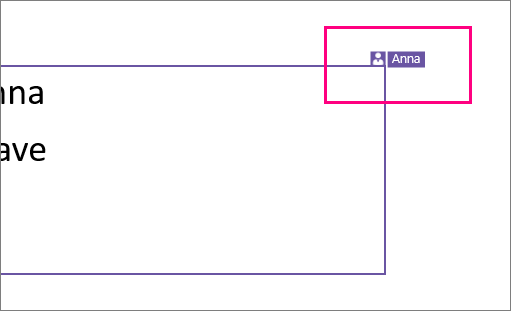 In PowerPoint, you can also convert your ink drawings to Shapes by selecting them and then selecting Convert to Shapes. That way, you get the freedom of freeform drawing with the uniformity and standardization of Office graphic shapes. The highest-contrast Office theme yet has arrived. To change your Office theme, go to File > Account, and then click the drop down menu next to Office Theme. The theme you choose will be applied across all your Office apps. 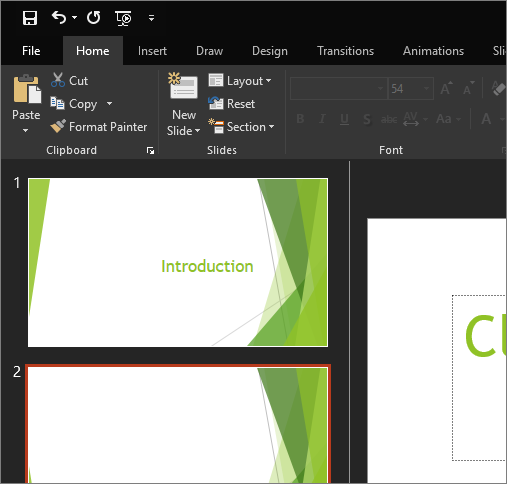 PowerPoint 2016 comes with a brand-new transition type, Morph, that can help you make smooth animations, transitions, and object movements across the slides in your presentation. To use the morph transition effectively, you’ll need to have two slides with at least one object in common—the easiest way is to duplicate the slide and then move the object on the second slide to a different place, or copy and paste the object from one slide and add it to the next. 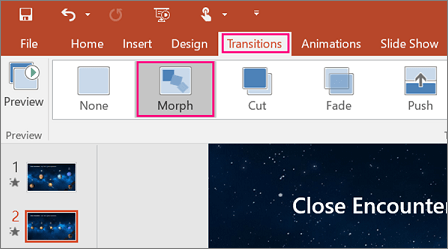 Then, with the second slide selected, go to Transitions > Morph to see how morph can automatically animate, move, and emphasize your objects across slides. 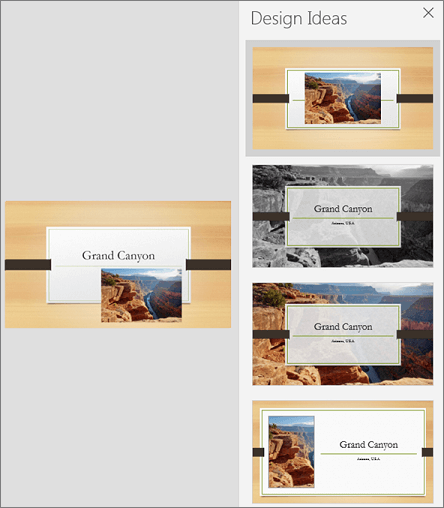 PowerPoint Designer is a new service that lets you take your content and automatically generate a variety of ideas that you can choose from to make your slides look better. When you add a photo or other unique visual content, the Designer pane will open automatically with a variety of suggested visual treatments you can choose to apply to your slides. Try adding a photo to a title slide to give it a try. This entry was posted in Microsoft Office, News, Training and tagged Microsoft, Office, PowerPoint. Bookmark the permalink.